With Mothers Day coming up I thought it was the perfect time to do this review, introducing Jack Harvey. 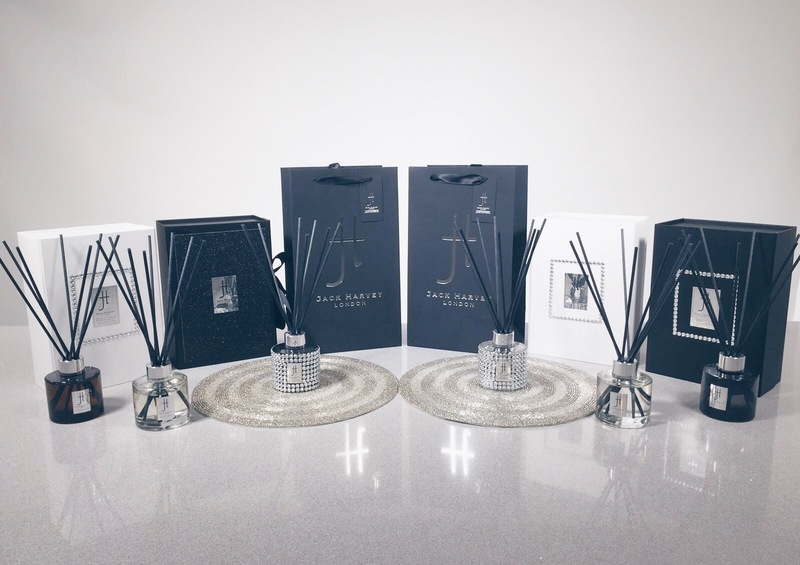 Jack Harvey is a range of luxury home diffusers, with strong oil based scents which will leave your entire house smelling like a five-star luxury hotel. 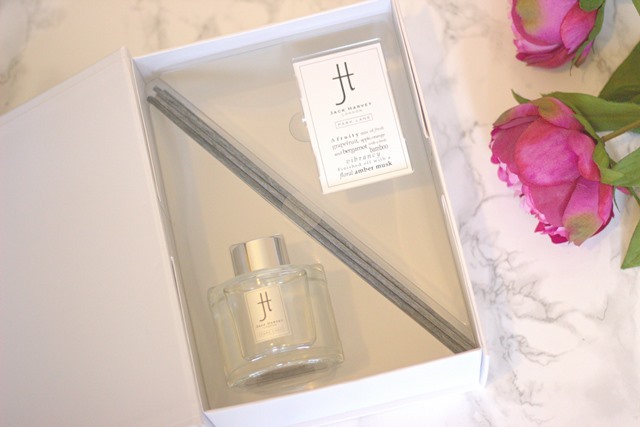 The packaging is to die for, each reed diffuser is presented in a gorgeous gift box and comes with a luxury gift bag. 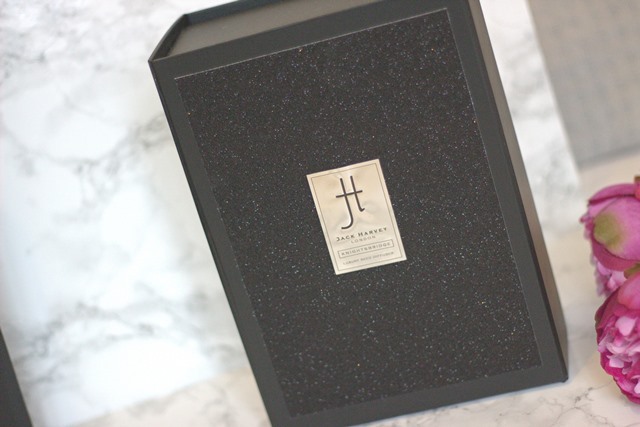 The box can be used for jewellery or make-up storage afterwards. Each gorgeous reed diffuser comes with eight high performance fibre reeds which continue to absorb every last drop of oil in the bottle, allowing the scent to last up to three months. Most scents have the option of a bling crystal encrusted bottle too. 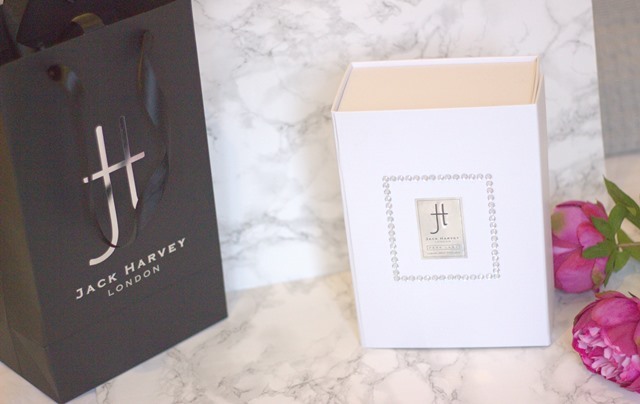 You also get a cute menu card telling you exactly what each fragrance is made up of, my particular favourite has to be Mayfair, a slightly more masculine scent (which I actually wish was a cologne!) Like many people I know, I am obsessed with the smell of my house. I am forever buying candles and to be honest gave up on reed diffusers because they run out so quickly and the wooden reed sticks do not have the ability to continually absorb the fragrance but these more porus reed sticks from Jack Harvey really do the trick. The strength of the scent varies from fragrance to fragrance and obviously depending on the size of your house. I think these make such great gifts, not just for Mothers Day but birthdays, house warmings and even Fathers Day. You can see the full collection here and with the code ‘secretstylefile’ you can receive 30% off the website price! Don’t forget Mothers Day is on the 6th of March!